The Southern Africa Regional Climate Outlook Forum has isuued the annual outlook for the 2016/2017 rainfall season (October - March) in the Southern African Development Community (SADC) region. The period, October to March, is the main rainfall season over most of southern Africa. Owing to the differences and evolution patterns in the predominant rainfall-bearing systems, the rainy season over the region has been subdivided into four overlapping three-month periods. The countries covered by the outlook include all SADC member states (Angola, Botswana, Democratic Republic of Congo, Lesotho, Madagascar, Malawi, Mauritius, Mozambique, Namibia, Seychelles, South Africa, Swaziland, Tanzania, Zambia and Zimbabwe). 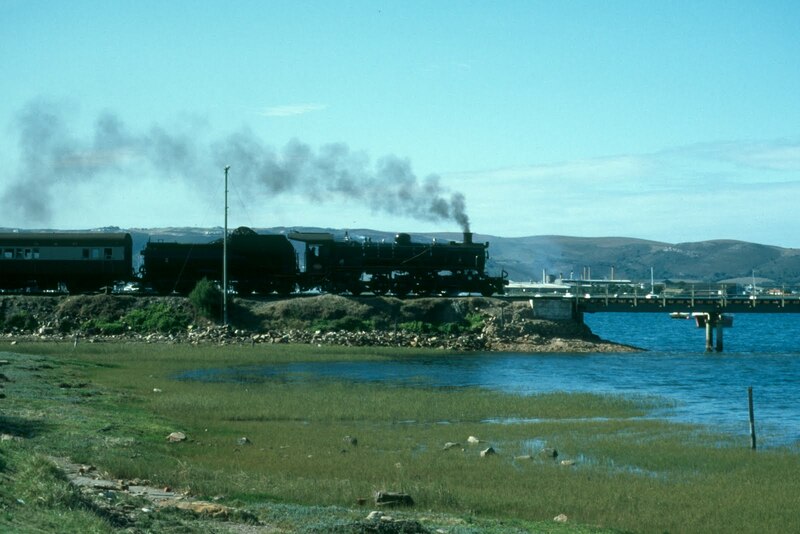 Garden Route: Update on the Outeniqua Choo Tjoe line repairs! update (15 Sept 2016): Classic Rail has uploaded some pics of the team cleaning the line at Keytersnek and Red Light Siding. The Emfuleni Corridor Tourism Association (ECTOUR), an umbrella body of tourism associations from various tourism nodes across South Africa's Eastern Cape, has released a new image video highlighting the attractions of the Karoo Heartland. The region, often referred to as the "dry heart" of South Africa, is a portion of the Karoo set on the eastern periphery of the central plateau. South Africa: The trunk of the world's widest baobab has split! The Sunland Baobab, known for being the widest of its species in the world, saw a third of its trunk crash to the ground on 23 August 2016. The main cause for the tree's split is believed to be its age. According to radiocarbon dating, the tree is around 1100 years old. The Sunland Baobab is 22 meters high, and is some 47 meters in circumference. The tree's trunk consists of two connected parts; each of these parts has its own enormous hollow connected with a narrow passage. The hollows of the Sunland Baobab have been turned into a pub and wine cellar in 1993 by the owners of Sunland farm, Doug and Heather van Heerden. The Sunland Farm is located near Modjadjiskloof (Duiwelskloof) in South Africa's Limpopo Province. The entrance fee for day visitors is R25 per person. Ethiopian Airlines to launch flights between Addis Ababa <> Windhoek! Ethiopia's flag carrier, Ethiopian Airlines, is set to launch daily flights between Addis Ababa Bole International Airport (ADD) in Addis Ababa and Hosea Kutako International Airport (WDH) in Windhoek, Namibia, via Gaborone, starting from 04 October 2016. The airline will be deploying a Boeing B737-800NG in a two class configuration of 138 seats in economy and 15 in business class on the route. EgyptAir: Resumption of flights between Cairo <> Harare on the cards! A launch date has not been announced, but Zimbabwe's Minister of Tourism and Hospitality Industry, Walter Mzembi, and his counterpart from Egypt, Mohamed Yehia Rahed, have agreed to work towards a resumption of EgyptAir's direct flight operations between Cairo's Cairo International Airport (CAI) and Harare International Airport (HRE) in Harare. Egypt's national flag carrier suspended flights to Zimbabwe in 2014 due to viability challenges. We'll keep you posted! KLM introduces flights to Windhoek (Namibia)! The flag carrier airline of the Netherlands, KLM, will expand its service to Windhoek, Namibia. The arline's flight schedule for the three existing flights to Luanda, Angola will be adapted slightly to make it possible to fly on to the Namibian capital and back after a short stopover. KLM will start to operate flights to Windhoek on 30 October 2016. South Africa: CemAir to launch flights between Bloemfontein <> Port Elizabeth! South African carrier, CemAir, will launch scheduled flights between Bram Fisher International Airport/Bloemfontein Airport (BFN) in Bloemfontein and Port Elizabeth International Airport (PLZ) in Port Elizabeth on 04 October 2016. The airline will operate two weekly flights on Tuesdays and Thursdays on board a 19-seat Beechcraft 1900D aircraft. Airlink to introduce second flight between Johannesburg <> Bulawayo! South African carrier Airlink is set to add a second flight between OR Tambo International Airport (JNB) in Johannesburg and Joshua Mqabuko Nkomo International Airport (BUQ) in Bulawayo, Zimbabwe, on 05 September 2016. The new morning flight will depart Johannesburg from Monday to Friday at 06:25 and will arrive in Bulawayo at 07:45. The return flight will depart Bulawayo at 08:05 and will arrive in Johannesburg at 09:30. Airlink will also increase its capacity over the Christmas season 2016/17 (12 Dec 2016 - 15 January 2017) with an additional afternoon flight that will operate every day except Saturdays. The afternoon flight will depart Johannesburg at 15:00 and will arrive in Bulawayo at 16:20, while the return flight will depart Bulawayo at 16:40 and will arrive in Johannesburg at 18:05. Airlink to increase flights between Johannesburg <> Mthatha! South African carrier Airlink is set to introduce a third daily flight between OR Tambo International Airport (JNB) in Johannesburg and Mthatha Airport (UTT) in Mthatha on 05 September 2016. The airline will operate the additional flights from Monday to Friday; flights will depart Johannesburg at 12:00 and will arrive Mthatha at 13:15. Return flights will depart Mthatha at13:35 and will arrive in Johannesburg at 14:50. Afternoon flights have also been added on Saturdays and Sundays departing Johannesburg at 14:30 arriving at Mthatha at 15:45. The return flight will depart Mthatha at 16:30 arriving in Johannesburg at 17:45. Kruger National Park: Paul Kruger Gate has been reopened! South African National Parks (SANParks) has confirmed that Kruger National Park's Paul Kruger Gate is open again. The Gate, the closest entrance to Skukuza Rest Camp, was closed on 09 August 2016 due protests on the R536 leading to the gate. Travellers intending to visit Kruger National Park via Paui Kruger Gate were previously advised to use alternative routes to enter or exit the National Park. Windhoek: Wernhil Park Shopping Centre now offers free WiFi! The Wernhil Park Shopping Centre in Windhoek, the second largest mall in Namibia, introduced free WiFi on 01 August 2016. The new service is available within the mall's common areas for all shoppers, tenants and the general public. The data usage of the WiFi service is limited to 100mb per day and user. The Wernhil Park Shopping Centre is located on the corner of Fidel Castro and Mandume Ndemufajo Street in the heart of Windhoek. 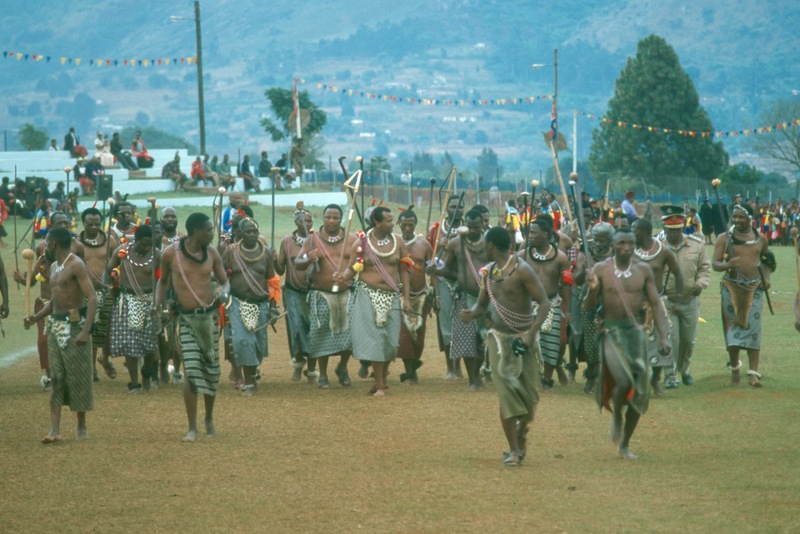 Swaziland: The dates of the Reed Dance 2016 have been announced! Swaziland Tourism has confirmed the dates of the 2016 Reed Dance. The biggest cultural event in Swaziland is set to start on 23 August 2016, with the main day (Day 7) set to take place on 29 August 2016 (Monday). It will be on this day when the main ceremony occurs, with the dancing attended by King King Mswati III. 29 August 2016 will also be a public holiday in Swaziland. This year's Reed Dance will include a restaurant with in the arena marquee open to the public from 08:00 to 19:00, with food provided by Ocean Basket, Royal Swazi Sun & SNTC (traditional food). The Reed Dance ceremony, also known as "umhlanga", is a centuries old tradition where the Swaziland's unmarried and childless females present their newly cut reed to the Queen Mother to protect her residence. The highlight of the event is the reed-giving ceremony. Tens of thousands of maidens from Swaziland, led by Swazi princesses, gather at the Queen Mother's royal village, the Ludzidzini Royal Residence in Lobamba, dressed in traditional attire; bright short beaded skirts with colourful sashes revealing their bare breasts to dance and sing and celebrate the unification of the Kingdom’s women. King Mswati lll, who sometimes makes use of the occasion to publicly court a prospective fiancée, joins the celebrations to pay tribute to the maidens. Kruger National Park: Paul Kruger Gate currently inaccessible due to protests! update (12 Aug 2016): South African National Parks (SANParks) advises travellers planning to use the R536 leading to Paul Kruger Gate on 13 August 2016 for entry or exit Kruger National Park to to use alternative routes (Phabeni Gate and Numbi Gate) because they are not sure if the demonstrations would have stopped or not. According to a statement issued by South African National Parks (SANParks) on 09 Aug 2016, Kruger National Park's Paul Kruger Gate is currently inaccessible due to protests on the R536 leading to the gate. Visitors to Kruger National Park are advised to avoid the popular gate and to use alternative routes such as Phabeni Gate and Numbi Gate to access and exit the Park until further notice. It is unclear for how long the protest action will continue. Phabeni is about 10km away from Hazyview on the R536 and Numbi is about 31km from White River/52km from Nelspruit on R40.We'll keep you posted! Victoria Falls: The Devil's Pool is back open! The famous Devil's Pool, a rock pool right on the very edge of the mighty Victoria Falls on Livingstone Island (Livingstone side of the Falls in Zambia) is back open. Also known as the "Armchair" or simply the "ultimate infinity pool", the pool is only accessible during the drier month of the year when the Zambezi River drops quite substantially (low water season). This usually takes place from mid-August to mid-January. Tours are/will be available. Western Cape: First part of the new Cross Cape Cycle Route has been launched! update (04 May 2017): The Cross Cape Cycle Route will officically be launched on 12 May 2017 and will stretch over 742 km from Plettenberg Bay to Stellenbosch. The official Destination Marketing, Investment and Trade Promotion Agency for the Western Cape, WESGRO, has officially launched the first five kilometers part of the new Cross Cape Cycle Route in Knysna on 29 July 2016. The new cycle track, which will eventually stretch from Plettenberg Bay to Cape Town, will offer local and international visitors the best of the Western Cape's mountains, sea views, food and wines along the Garden Route, Klein Karoo, Cape Overberg, Cape Winelands and Cape Town. The Cross Cape Cycle Route will include road track, mountain trails, jeep as well as forest tracks and will cater to all levels of riders. WESGRO and its partners expect to complete the Cross Cape Cycle Route within the next two to two-and-a-half years. We'll keep you posted! According to new figures released by Namibia's Minister of Environment and Tourism, Pohamba Shifeta, three more carcasses of poached rhinos have recently been found in the country's Etosha National Park, so that Namibia now has lost at least 37 rhinos to illegal poaching since January 2016. 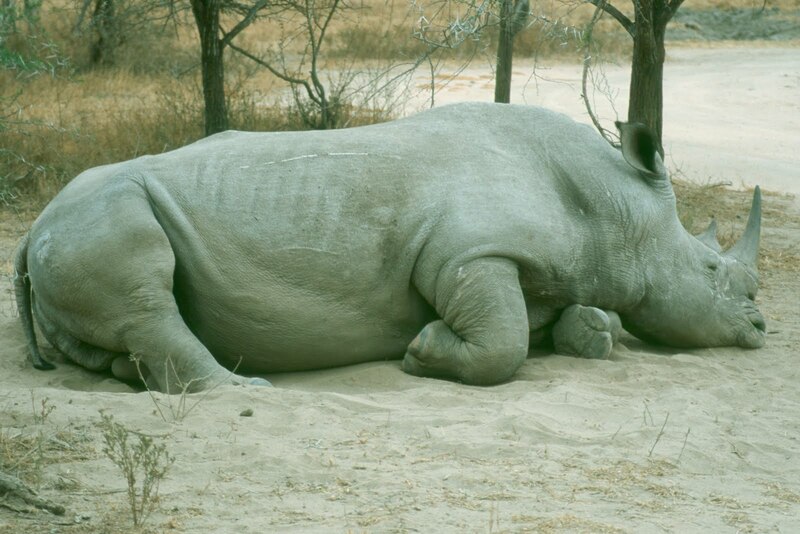 This brings the total number of illegal rhino killings to 162 since 2015. Namibia also lost 31 elephants to poaching so far in 2016, bringing the total to 80 animals since January 2015. 13 alleged poachers have been arrested in Namibia since May 2016. 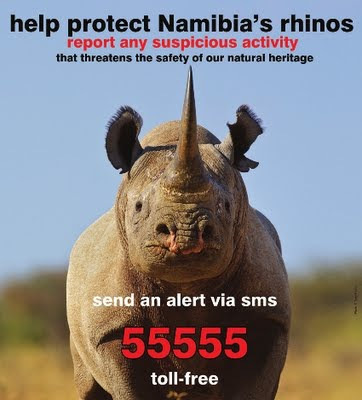 The Ministry of Environment and Tourism in Namibia offers rewards of N$60 000 for information that lead to the arrest and prosecution of rhino poachers. South Africa's most punctual domestic airlines in July 2016! Airports Company South Africa (ACSA) has published the on-time performance results of domestic airlines’ flying out of OR Tambo in Johannesburg, Cape Town International Airport, and Durban's King Shaka International Airport in July 2016. Kenya: Passenger train service between Nairobi <> Mombasa temporarily suspended! The popular passenger train service between Kenya's capital Nairobi and the coastal city of Mombasa has been temporarily suspended, as Rift Valley Railways (RVR) is set to refurbish all coaches. The upgrade of the 20 wagons will take about four month, so that services will most likely resume at the end of November 2016. Rift Valley Railways usually operates two weekly trains (Mombasa Deluxe Service) between Nairobi and Mombasa on Mondays and Fridays (Nairobi > Mombasa) as well as on Tuesdays and Sundays (Mombasa > Nairobi). The cost of travelling first class is currently Sh4,405 (all inclusive), second class Sh3,385 (all inclusive) or Sh2,335 (fare/bed & breakfast) while third class travel is Sh680 (fare). Trains depart Nairobi/Mombasa at 19:00 in the evening and arrive in Mombasa/Nairobi at 10:00 next day morning. Red Bull teamed up with BMX heavy hitters Sergio Layos, Kriss Kyle, Greg Illingworth, Russell Barone and Alex Kennedy to embark on a 4,000 km (2,500-mile) journey across South Africa and Namibia. Accompanied by filmer Rich Forne and photographer George Marshall, the five BMXers found what they came looking for - uncharted riding spots in Cape Town, Kimberley (South Africa), Swakopmund and Windhoek (Namibia). Kudos to the BMXers, Red Bull and, of course, the camera crew. Enjoy! Rwanda introduced new visa fees! Rwanda's Directorate of Immigration and Emigration has announced new visa fees for travellers coming to visit the East African country. As of today (01 August 2016), the new transit and entry visa costs 20 UK Pounds, 27 Euros or 30 US Dollars, while the new tourist and family visa costs 35 UK Pounds, 45 Euros or 50 US Dollar. Rwanda's new visa fees will remain applicable for (at least) the next 12 months.